With the last issue of Detective Comics, we saw that someone is coming after the vigilantes in Gotham, starting with Jean Paul Valley. To combat this unknown threat, Batman enlists the help of Batwoman to help put together and train a team of Bat-allies: Red Robin, Spoiler, Orphan, and Clayface. This issue, we see that it is easier said than done. James Tynion IV, Eddy Barrows and Eber Ferreira continue to create something special here, as the spotlight falls to the team of Batmen (and women) rather than the Dark Knight himself. We see very well executed scene, showing a Danger Room-esque training, which reveals the weaknesses to many of the young heroes. We also see some behind the scenes moments with Batwoman and her father, as well as seeing the Batman is once again not being upfront with his teammates- will the Dark Knight ever learn? Tynion’s writing creates a very entertaining and fluid issue, once that is entertaining, and yet, reveals more secrets in the streets of Gotham. Barrows and Ferreira are spectacular, crafting some excellent fight scenes and creating an overall outstanding feel for the whole book. The key to this book, and to any team, is trust. With many members hiding their true intentions and reasons, it is only a matter of time before the Bat hits the fan. 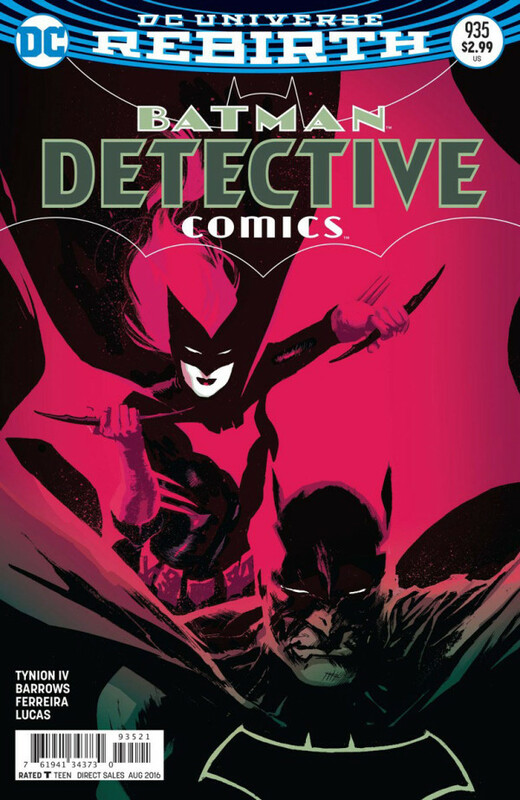 Another stellar issue from the creative team, Detective Comics should be on your pull list, no doubt. Rating: 8.75 out of 10.